The Peony is a paired home exclusive to The Parks of Harvest Hills. 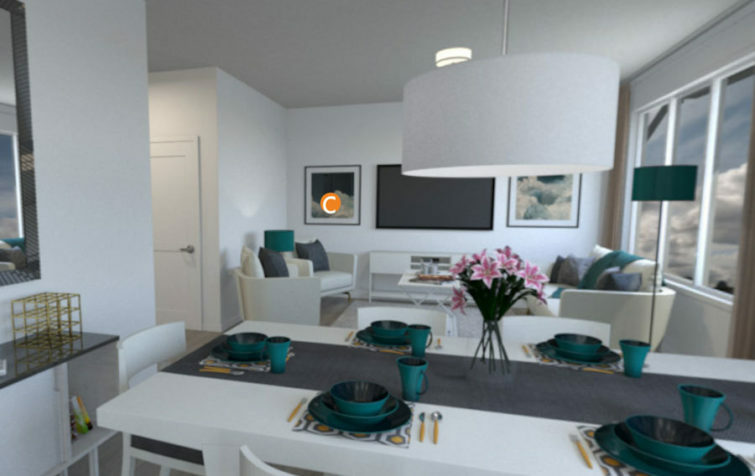 This model offers an open concept great room, dining area and kitchen. On the upper floor, you will find a master bedroom with an adjoining ensuite and walk-in closet, as well as upper floor laundry and a flex room. This home offers a double car garage; 3 bedrooms and 3.5 bathrooms. Photos are for demonstrative purposes only and may not represent the actual home. Cedarglen Homes is currently selling single-family homes on conventional lots and paired homes in the community of The Parks of Harvest Hills. Get more information about all the great features Peony has to offer. We have received your message and an Area Sales Manager will contact you shortly.